Once thought to be pure academic legend, scientists recently found proof of the existence of viruses thousands of times larger than ordinary viruses. So far all have been innocuous, but what if one was a human pathogen? While drilling for oil in the desolate reaches of the Arctic, an unsuspecting company extracts a permafrost ice core that has been frozen for 30,000 years, accidentally releasing a 'megavirus.' Top investigator Sarah Spallanzani and her team must race against the ticking clock of the short Arctic summer to discover a way to protect workers from the virus before competitors drain the basin of its rich resources . 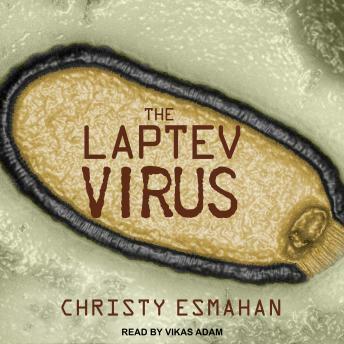 . . and before anyone else succumbs to the deadly fever of the Laptev virus. Plot is very predictable and the characters are not believable. Ending was sloppy as well. Didn't like it at all.